It’s now seven wins on seven matches for Ole Gunnar Solskjaer as Manchester United’s manager. The Red Devils continue to look unstoppable at the moment, and are coming off a hard-working 2-1 win over Brighton at home the last time out. But the Premier League will take a short break this weekend, as it’s now time to play the fourth round of the FA Cup. And Manchester United couldn’t have asked for a tougher opponent ahead of this contest. They’re travelling to London in order to take on Arsenal at the Emirates Stadium. This game will kick off on Friday at 19:55 hrs BST. Manchester United won’t have three players available for this match. Marcos Rojo, Chris Smalling and Marouane Fellaini all missed out on Saturday’s win over Brighton, and Solskjaer confirmed the trio will be unavailable once again. But the Norwegian tactician also said Alexis Sanchez will be involved in this one. The Chilean has missed the club’s last two games, but is expected to be on the squad to face his former club. Plus, Solskjaer also said he will make “one or two changes for sure” in comparison to the side that defeated Brighton the last time out. Luke Shaw will also play after struggling with fitness in recent days. On the other hand, Arsenal have two long-term absentees in Hector Bellerin (knee) and Danny Welbeck (ankle). The Spaniard will miss the reminder of the season due to an anterior cruciate ligament injury, while the former Manchester United striker does not have a timetable for his return. Another former Red, Henrikh Mkhitaryan, is back in training but won’t be available for this contest. Centre-back Rob Holding remains sidelined as well. Manchester United are playing at a very high level right now. The win over Brighton made it seven wins in a row for The Red Devils, and they’re yet to lose since the appointment of Ole Gunnar Solskjaer as interim manager. That winning run also includes an FA Cup victory as well. The Old Trafford side secured a comfortable 2-0 win over Reading in the tournament’s third round. Can they extend that positive run of form in a tough venue such as the Emirates Stadium? Meanwhile, Arsenal have not been playing very well of late. Most will probably remeber The Gunners went on an impressive 22-game undefeated run across all competitions; however, that run that ended when Unai Emery’s men lost to West Ham United in mid-December. Since then, The Gunners have been slightly inconsistent, but remain in fifth place of the Premier League standings and easily dispatched League One side Blackpool in the third round of the FA Cup. 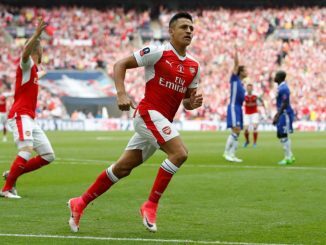 It must be said that Arsenal have enjoyed lots of success in this tournament of late, lifting the trophy in three of the last five seasons. What is our recent record against Arsenal? United have lost only five games in just under 11 years against Arsenal in all competitions. Plus, Manchester United have registered eight Premier League wins away at Arsenal – more than any other team. Our most recent visit to the Emirates Stadium was in December 2017. Manchester United won that match 3-1. Jesse Lingard scored a brace, while a strike from Antonio Valencia and a great performance from David de Gea lifted us to the win. Matches against fellow Top 6 sides are often unpredictable. 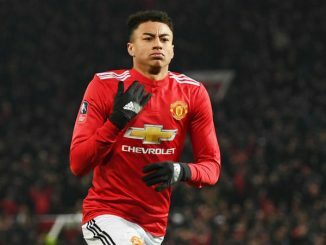 However, Manchester United have not lost since the interim appointment of Solskjaer and are playing very well at the moment. Meanwhile, The Gunners have struggled with consistency in recent weeks. Therefore, I believe Manchester United will extend their run and secure a huge Cup win at the Emirates on Friday evening.